Luther's Marian theology is derived from his views of Mary, the mother of Jesus. It was developed out of the deep Christian Marian devotion on which he was reared, and it was subsequently clarified as part of his mature Christocentric theology and piety. Lutherans hold Mary in high esteem. 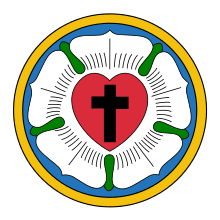 Luther dogmatically asserted what he considered firmly established biblical doctrines like the divine motherhood of Mary while adhering to pious opinions of the Immaculate Conception and the perpetual virginity of Mary along with the caveat that all doctrine and piety should exalt and not diminish the person and work of Jesus Christ. By the end of Luther's theological development, his emphasis was always placed on Mary as merely a receiver of God's love and favor. His opposition to regarding Mary as a mediatrix of intercession or redemption was part of his greater and more extensive opposition to the belief that the merits of the saints could be added to those of Jesus Christ to save humanity. Despite Luther's harsh polemics against his Roman Catholic opponents over issues concerning Mary and the saints, theologians appear to agree that Luther adhered to the Marian decrees of the ecumenical councils and dogmas of the church. 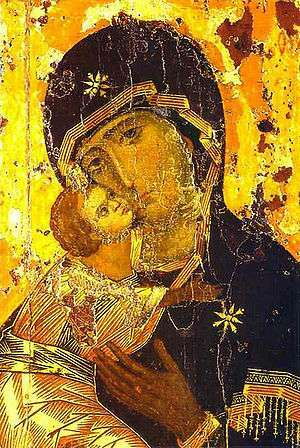 He held fast to the belief that Mary was a perpetual virgin and the Theotokos, the Mother of God. Special attention is given to the assertion that Luther, some three-hundred years before the dogmatization of the Immaculate Conception by Pope Pius IX in 1854, was a firm adherent of that view. Others maintain that Luther in later years changed his position on the Immaculate Conception, which at that time was undefined in the Church; however, he maintained belief in Mary's lifelong sinlessness. Regarding the Assumption of Mary, he stated that the Bible did not say anything about it. Important to him was the belief that Mary and the saints do live on after death. The centerpiece of Luther's Marian views was his 1521 Commentary on the Magnificat in which he extolled the magnitude of God's grace toward Mary and her own legacy of Christian instruction and example demonstrated in her canticle of praise. [S]he became the Mother of God, in which work so many and such great good things are bestowed on her as pass man's understanding. For on this there follows all honor, all blessedness, and her unique place in the whole of mankind, among which she has no equal, namely, that she had a child by the Father in heaven, and such a Child.... Hence men have crowded all her glory into a single word, calling her the Mother of God.... None can say of her nor announce to her greater things, even though he had as many tongues as the earth possesses flowers and blades of grass: the sky, stars; and the sea, grains of sand. It needs to be pondered in the heart what it means to be the Mother of God." Luther accepted the idea of the perpetual virginity of Mary. Jaroslav Pelikan noted that the perpetual virginity of Mary was Luther's lifelong belief, and Hartmann Grisar, a Roman Catholic biographer of Luther, concurs that "Luther always believed in the virginity of Mary, even post partum, as affirmed in the Apostles' Creed, though afterwards he denied her power of intercession, as well as that of the saints in general, resorting to many misinterpretations and combated, as extreme and pagan, the extraordinary veneration which the Catholic Church showed towards Mary." 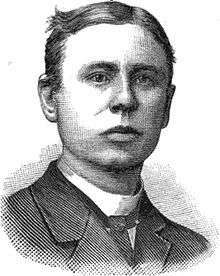 For this reason even a rigorously conservative Lutheran scholar like Franz Pieper (1852–1931) refuses to follow the tendency among Protestants to insist that Mary and Joseph had marital relations and children after the birth of Jesus. It is implicit in his Christian Dogmatics that belief in Mary's perpetual virginity is the older and traditional view among Lutherans. Some American Lutheran groups such as the Lutheran Church–Missouri Synod later "found no difficulty with the view that Mary and Joseph themselves together had other children". In 1544 Luther said: 'God has formed the soul and body of the Virgin Mary full of the Holy Spirit, so that she is without all sins, for she has conceived and borne the Lord Jesus.' Elsewhere, "All seed except Mary was vitiated [by original sin]." When concentrating specifically on Mary herself as the Mother of God, Luther acknowledges God's singular action in bringing her into the world, but in making general comments about the universality of human sinfulness, he includes her among all the rest of humanity. Mother Mary, like us, was born in sin of sinful parents, but the Holy Spirit covered her, sanctified and purified her so that this child was born of flesh and blood, but not with sinful flesh and blood. The Holy Spirit permitted the Virgin Mary to remain a true, natural human being of flesh and blood, just as we. However, he warded off sin from her flesh and blood so that she became the mother of a pure child, not poisoned by sin as we are. For in that moment when she conceived, she was a holy mother filled with the Holy Spirit and her fruit is a holy pure fruit, at once God and truly man, in one person." Throughout his lifetime, Luther referred to Mary as the "Queen of Heaven", but he warned against people using the term too much. Before 1516, Luther's belief that Mary is a mediatrix between God and humanity was driven by his fear of Jesus being the implacable judge of all people. "The Virgin Mary remains in the middle between Christ and humankind. For in the very moment he was conceived and lived, he was full of grace. All other human beings are without grace, both in the first and second conception. But the Virgin Mary, though without grace in the first conception, was full of grace in the second ... whereas other human beings are conceived in sin, in soul as well as in body, and Christ was conceived without sin in soul as well as in body, the Virgin Mary was conceived in body without grace but in soul full of grace." Divine grace from heaven came over the virgin and others. The Lutheran views on the veneration of Mary were interpreted differently by different theologians over time. Key is his interpretation of the Magnificat of Mary, which to some is a relic of the Catholic past, but to others a clear indication that he maintained a Marian piety. Luther states in his Magnificat that one should pray to Mary, so God would give and do, through her will, what we ask. But, he adds, it is God's work alone. Some interpret his Magnificat as a personal supplication to Mary, but not as a prayerful request for mediation. An important indicator of Luther's views on the veneration of Mary are not only his writings but also approved practices of Lutherans during his lifetime. The singing of the Magnificat in Latin was maintained in many German Lutheran communities. The Church Order (Kirchenordnung) of Brandenburg, Bugenhagen Braunschweig and other cities and districts decreed by the royal heads of the Lutheran Church maintained three Marian feast days to be observed as public holidays. It is known that Martin Luther approved of this. He also approved of keeping Marian paintings and statues in the Churches. Luther did, however, say that "Mary prays for the church". He also advocated the use of the first half of the Hail Mary (that is, "Hail Mary, full of grace, the Lord is with thee. Blessed art thou among women and blessed is the fruit of thy womb, Jesus.") as a sign of reverence for and devotion to the Virgin. Luther came to criticize Roman Catholics for blurring the distinction between high admiration of the grace of God wherever it is manifested in human beings and religious service offered to them and other mere creatures. In some instances he considered the Roman Catholic practice of making intercessory requests addressed especially to Mary and other departed saints to be idolatry. "Furthermore, how will you endure [the Romanists'] terrible idolatries? It was not enough that they venerated the saints and praised God in them, but they actually made them into gods. They put that noble child, the mother Mary, right into the place of Christ. They fashioned Christ into a judge and thus devised a tyrant for anguished consciences, so that all comfort and confidence was transferred from Christ to Mary, and then everyone turned from Christ to his particular saint. Can anyone deny this? Is it not true?" This distinction separates Lutheran views from Roman Catholic Mariology. It is also significant in the context of Roman Catholic claims that modern Protestants deserted Luther's Mariology. Roman Catholics and Protestants may have held some similar views on Mary in the 16th century, but for Luther it was a "passive" Mariology, while for Roman Catholics it was "active" in suggesting devout veneration ("hyperdulia") and constant prayers for intercession. Questions have been raised as to whether the Marian views of Martin Luther could bring separated Christians closer together. There seems to be scepticism on both sides. The eighth "Lutherans and Catholics in Dialogue" addressed these issues. Throughout Luther's life, he called Mary by the title Theotokos, Mother of God, but at the same time he rejected the active invocation of Mary as formulated in such prayers as the "Hail Mary." Protestantism usually follows the reformers in rejecting the practice of directly addressing Mary and other saints in prayers of admiration or petition as part of their religious worship of God. ↑ Gritsch (1992), pp. 235-248, 379-384; cf. p. 235f. ↑ Cf. the Apostles' Creed. ↑ Luther's Works, 21:326, cf. 21:346. Anderson, H. George; Stafford, J. Francis; Burgess, Joseph A., eds. (1992). The One Mediator, The Saints, and Mary. Lutherans and Catholics in Dialogue. VIII. Minneapolis: Augsburg. ISBN 0-8066-2579-1. Bäumer, Remigius (1994). Leo Scheffczyk, ed. Marienlexikon (Gesamtausgabe ed.). Regensburg: Institutum Marianum. Brecht, Martin (1985). His Road to Reformation, 1483–1521. Martin Luther. 1. Translated by James Schaaf. Philadelphia: Fortress Press. ISBN 978-0-8006-2813-0. Düfel, H. (1968). Luthers Stellung zur Marienverehrung [Luther's Position on the Adoration of Mary] (in German). Göttingen. Grisar, Hartmann (1915). Luigi Cappadelta, ed. Martin Luther. Translated by E. M. Lamond. St. Louis: B. Herder. Luther, Martin (1996). John Nicholas Lenker, ed. Sermons of Martin Luther. Grand Rapids, MI: Baker Book House. Pieper, Francis (1950). Christian Dogmatics. 2. St. Louis: CPH. Tappert, Theodore G. (1959). The Book of Concord: the Confessions of the Evangelical Lutheran Church. Philadelphia: Fortress Press. White, James R. (1998). Mary – Another Redeemer?. Minneapolis: Bethany House Publishers. ISBN 978-0-764-22102-6. Wright, David, ed. (1989). Chosen By God: Mary in Evangelical Perspective. London: Marshall Pickering. ISBN 978-0-551-01878-5.